A drunk West Ashley man executed an impromptu U-turn when he saw a police DUI checkpoint approaching. Despite the turn’s precision, Bart Aldridge’s car was immediately pursued and pulled over by police, and now he’s epically screwed for life. 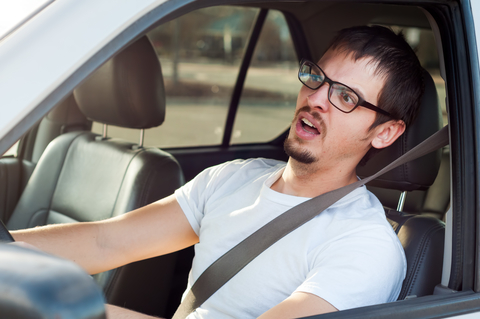 Bart spent the entire day ripping beers at his friend’s backyard cookout and decided to drive home, putting everyone’s life in danger, instead of simply taking an Uber. The thought of picking up his car tomorrow was just too cumbersome—even though he has nothing going on in his life and has plenty of time. Bart will spend the next two years paying off the $6,000 in DUI fines and attorney fees he charged on his credit card. He’ll drown his sorrows at various West Ashley bars, getting another DUI a few years from now, repeating the cycle until his driver’s license is revoked and he’s forced to ride a used scooter to work every day.